The former Farmers and Merchant National Bank of Hamilton on East Colonial Highway is one of western Loudoun's largest commercial office buildings. Built in 1970 to serve the banking needs of area farmers, one of western Loudoun’s largest commercial office buildings is on the market for leasing. 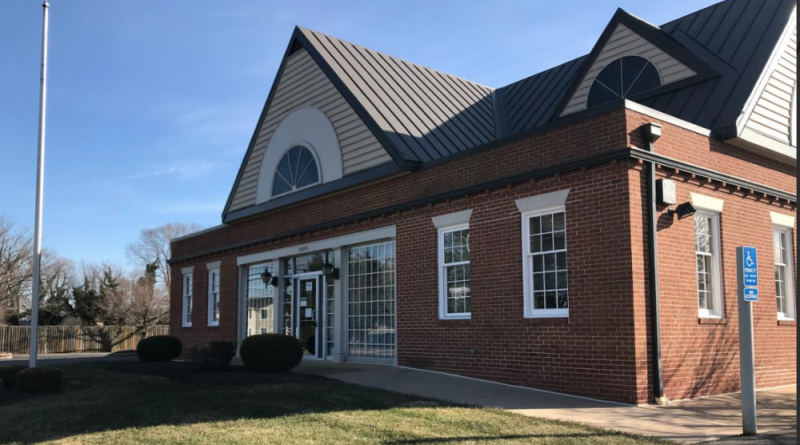 BB&T closed its Hamilton branch office along East Colonial Highway last year and, in December, longtime Loudoun Realtor Dan Kaseman bought it. Kaseman said the 13,400-square-foot building with 80 parking spaces is well suited for medical or professional offices, if other banks don’t show interest. But the space also is flexible enough to accommodate child care operations, school space or a worship center, among other possible uses. 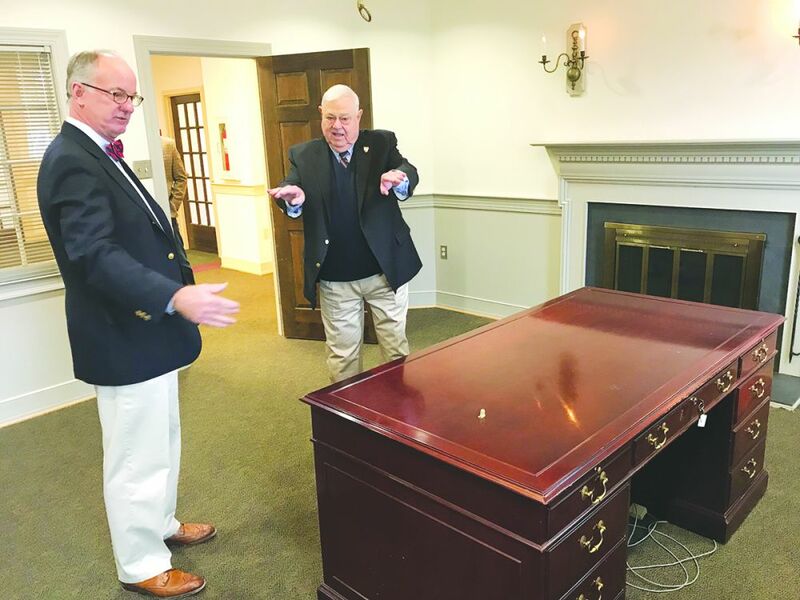 While the building’s role in the community is likely to change, the former Hamilton resident recognizes the significant role the former bank held in western Loudoun for five decades. No one knows more about the history of the building than Clyde C. Lamond III, who led Farmers and Merchants National Bank of Hamilton until it merged in 1993 with F&M Bank-Winchester, which merged with BB&T in 2006. He was hired to lead the bank in 1972. Farmers and Merchants was founded in 1910 and, until 1970, was housed in Hamilton’s downtown bank building at the East Colonial Highway/South St. Paul Street intersection. The original front part of “new” bank was designed by renowned Middleburg architect William Bland “Billy” Dew Jr. Dew led the restoration of the Red Fox Inn, which had faced demolition in the 1930s, and designed the Middleburg Community Center and the Middleburg National Bank building, among many others throughout the Washington, DC, region. He died in 2000. Former Farmers and Merchants National Bank of Hamilton CEO and Chairman Clyde C. Lamond III, left, gives Dan Kaseman a tour of his former office. Kaseman bought the bank building last year and it is on the market for lease. Lamond was working as a traveling bank examiner when he was invited to a cookout at the late Jim Brownell’s Bluemont farm, Whitehall. While there, Dr. William Penn Frazer, a bank director, asked him to interview to be the next bank president. The interview was the next day, on a Sunday. After the meeting, Lamond’s wife asked if he planned to apply for the position. “I said, ‘I’m already there,'” while acknowledging he had no idea what the compensation or benefits would be. “You know in life when something just feels right and you’re dealing with gentlemen in the country—these are guys who are dirt farmers and they go to church and they’re going to treat you well,” Lamond recalled. When he met with the bank board, they said “go ahead and just write down what you think the bank can afford to pay you and where you think you’re going to take us in the next two years and five years and we’ll pay you according to you reaching your goals,” Lamond recalled. It was a far different style of banking than we know today. The checks posted by hand—”there were no machines,” Lamond said. Also, there was no worry about meeting the Federal Reserve’s 2 o’clock deadline to report transaction. “Banking years ago was very informal. You got the principal or a coach at high school to come in,” he said, noting they came with a loyal clientele of former students. “And really they had no credit cards in those days. Lending was just on your family name; it wasn’t on a financial statement basis,” he said. “This was a wonderful country bank. It was all of 11 and a half million dollars,” Lamond said. The bank modernized and grew sustainably during Lamond’s tenure. As deposits grew, the bank added a new two-level addition to the Hamilton bank and opened an operations center in Leesburg. When the bank merged in 1993 deposits were $250 million. “It was a great marriage. I had fun doing it,” Lamond said. Kaseman said, to him, the building continues to represent a dedication to the community and he is looking forward to giving it new life. “The worst part about it is when I bought the building they didn’t leave any money. Not a single penny,” he said. The building sits on 1.49 acres zoned PD-OP allowing professional offices, financial institutions, fitness centers, medical/dental offices, adult and child day care operation, educational space or a worship center. In addition to ample parking, power to the building is fully backed up by an on-site generator. See details of the listing at atokaproperties.com.